Tom Kaa Kai, a Thai chicken soup in coconut milk spiced with Thai gin­ger (Galanga). I-San is a Thai word mean­ing north­east. Most peo­ple in this region speak Lao (the lan­guage of neigh­bour­ing Laos). The cui­sine here is unique to this region and only recently has it been intro­duced into Thai restau­rants over­seas. The cui­sine of north­east­ern Thai­land is slightly more spicy than the Cen­tral Thai cui­sine and is tra­di­tion­ally accom­pa­nied by gluti­nous or sticky rice. A pop­u­lar I-San cui­sine in Thai­land and in Thai restau­rants today is the spicy Som Tum or Papaya salad. Vari­a­tions of Thai spicy sal­ads are mostly north­east­ern cui­sine influenced. North­ern Thai cui­sine is inspired by the foods and flavours of Burma and Yun­nan Province in China because of north­ern Thailand’s geo­graph­i­cal loca­tion. Exam­ples of a pop­u­lar north­ern Thai dish is Khao Soi, a deli­cious dish of boiled and crunchy noo­dles in a north­ern style mildly spicy curry broth. South­ern Thai cui­sine is the spici­est of the lot, with coconut, turmeric and other exotic spices. 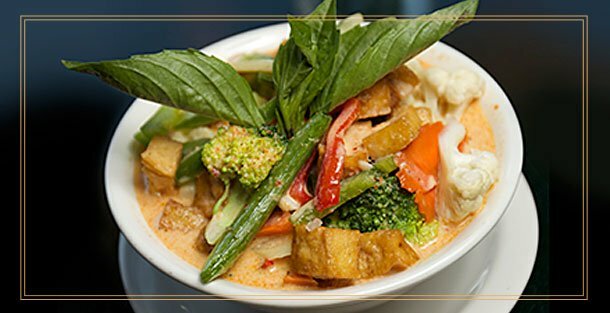 South­ern Thai cui­sine has yet to be intro­duced into main­stream Thai menus in restau­rants over­seas, per­haps because of its high level of spiciness.